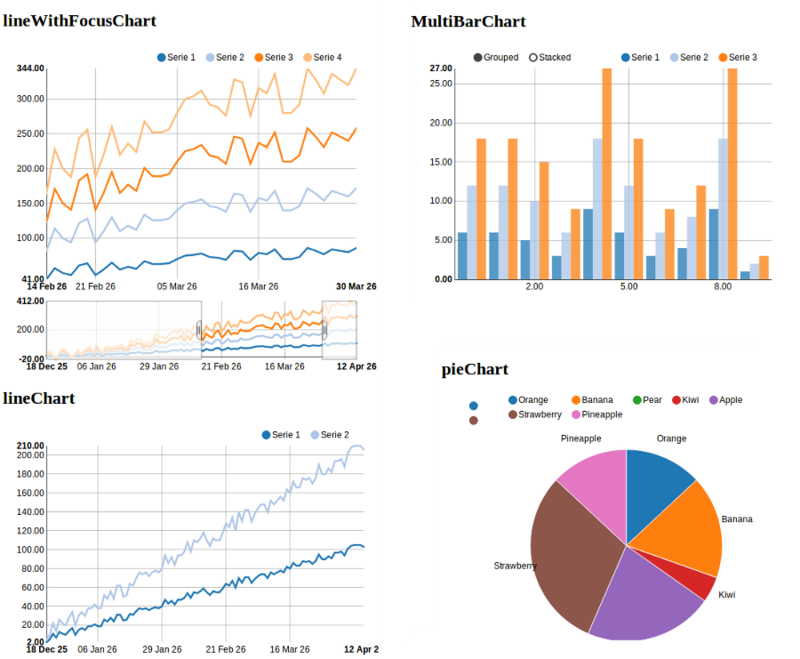 NVD3 is an attempt to build re-usable charts and chart components for d3.js without taking away the power that d3.js offers you. Check out the documentation on Read the Docs for some live Chart examples! Note : you might prefer to save your npm dependencies locally in a package.json file. This will create a directory "bower_components" where d3 & nvd3 will be saved. Note : you might prefer to save your bower dependencies locally in a bower.json file. You can also configure the directory where your bower dependencies will be saved adding a .bowerrc file in your project root directory. See the examples directory for an Ipython notebook with python-nvd3. Python-nvd3 is licensed under MIT, see MIT-LICENSE.txt.